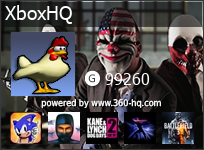 360-HQ.COM :: Any new Mame versions for Xbox 360? Any new Mame versions for Xbox 360? Post subject: Any new Mame versions for Xbox 360? Hello good people of 360-Hq! So, on to my question: Is there a new version of Mame for xbox 360? I have RGH console and have put in a bunch of emulators which works fine. However, there is this one game (Fighter's History by Data East) that I have been trying to play in the emulators that I have in my console - needless to say, none of them worked. I have tried patching the rom into different rom versions (0.78, 0.112, etc.) but all efforts just made the game crash. The rom works fine using Mame .158 which I have in my pc but I would really love to play it using my modded xbox. Any ideas would be very much appreciated. And apologies if this has been posted somewhere else in the forum (tried searching but didn't find any). P.S. I also tried using FBANext360 but it wouldn't recognise the rom. Any help regarding converting rom files to be playable in FBANext 360 is also appreciated. There are only 2 MAME emulators for the Xbox 360. (MAME and MAME360) Which version are you running? I've left more details below.. I have both in my modded xbox360 but none of them would play the game. I tried patching the rom to suit but the game just crashed. The game played fine in my pc, so I am led to believe it is the mame version that's the issue. More than likely I think that you'll find that there are several games that won't run but they will run just fine using the PC version. Sorry I can't offer any further advice. Maybe another member might see this thread and make a reply. If you have happen to own an Xbox One, make sure you check out XBOXONE-HQ.COM (You can login using the same user/pass). There are a whole bunch of Xbox One emulators and tutorials on how to install them in DEV MODE. Cheers, DOA666! Yes, hopefully another member could offer some advice. I noticed that there's a thread re mame 146 or something however it is only accessible to VIP members. 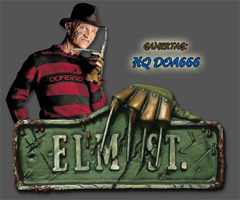 If it is a mame version that would work in my modded xbox and could play the game I might go for a vip access. I hope someone would be able to confirm this. Hi RVN180 and welcome to the site. 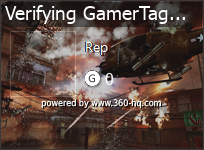 If you're looking for the complete set of emulators for Xbox 360 JTAG, we have them all available on our PRIVATE VIP FTP SERVER. 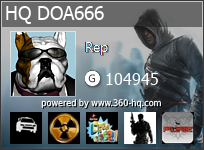 As DOA mentioned, you can login on all HQ network website using the same user/pass. I hope you find the place useful. Enjoy! I am thinking of becoming a VIP member as I have tried everything that I could to get the game to work. Doesn't work with 0.72 and 0.112 mame for xbox360. Will try to patch the rom to the mame version as per the thread (forgot what version it was). Try RetroArch 360 if you haven't already. You can grab it from the VIP FTP. Let us know how you go as well.